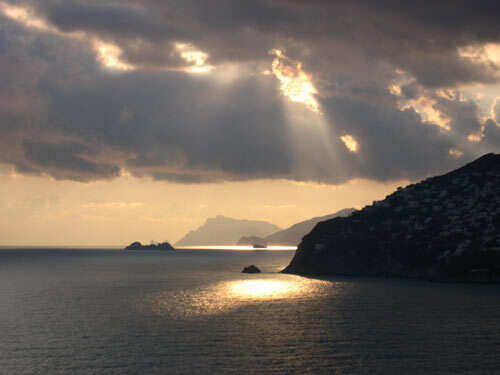 Positano opens, in the west, the wonderful stage of the Amalfi Coast. It was well defined as “vertical village”, and it really seems to be standing, leaning against the rocky wall, with its multicoloured houses which help each other to climb up the sky. Many versions of its original name exist. The most fantastic one tells about a dangerous transportation of the Virgin Mary’s picture (today preserved in the Mother church) across the stormy sea. Opposite the beach of Positano, among raging surges, the shocked mariners clearly heard a voice telling and repeating “Posa…Posa” (which means “put down”…”put down”). They landed and, as soon as they put down the picture on the beach, as a miracle, the storm abated. According to a “historical” version, the name of Positano derives from Paestum, when its inhabitants, escaped from a Saracen incursion in 915, took refuge in the territory of the Benedictine Abbey of St. Vito where today the hamlets of Nocelle and Montepertuso lie. 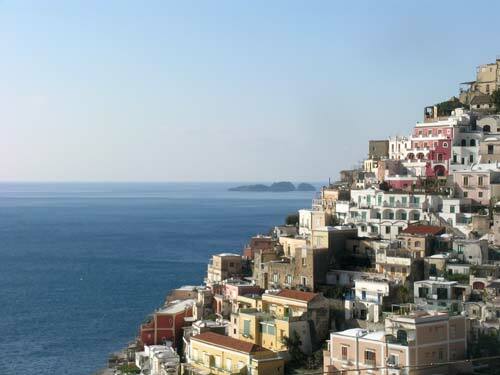 However, the name Positano probably derives from Roman freedmen, the Posdii. 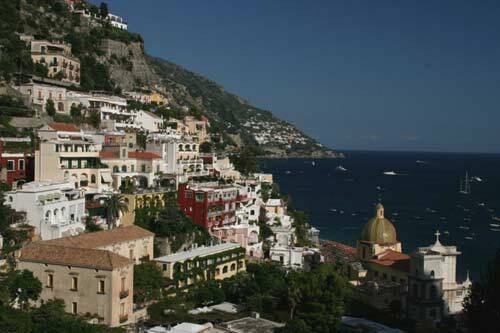 Positano was really a Roman colony and a well known holiday resort. It was economically prosperous in the 17th century, as a lot of Baroque buildings testify and was for a long time a feud belonging to many Neapolitan families. Only at the end of 1700 it was again royal town. 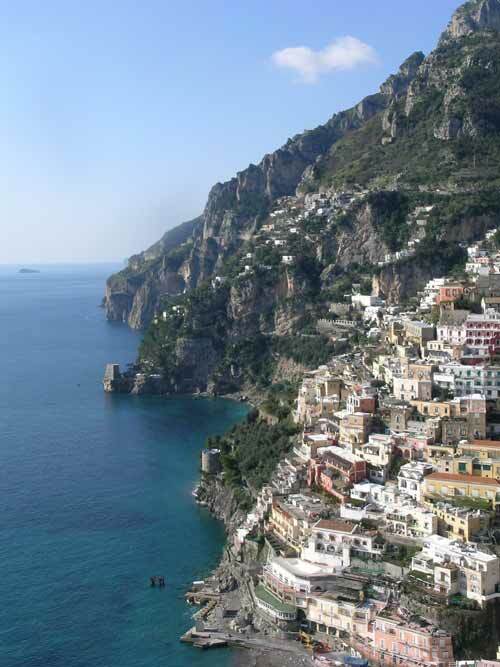 In modern times, Positano has really been with Ravello the motive power of the tourist revival of the Amalfi Coast. Since the beginning of 20th century Positano has been the favourite place of many famous people from all over the world, especially artists. All guidebooks will offer you the long list of famous writers, musicians, dancers, painters, sculptors, photographers and actors who have lived or spent their holidays here, being inspired by the magic of the spots. Nowadays business-men, politicians, TV stars and a lot of common people like us are guests of the town in any season. The small streets and the flights of steps that characterise Positano offer a wide variety of small shops, typical workshops, ateliers, and cafes. That's why shopping or just strolling and wandering around are the first thing that all tourists do in Positano. The place is popular for the production of clothes, lemon liqueurs and sweets, handmade shoes, and many other specialities that you will discover here. Positano has an ancient history as part of the medieval Republic of Amalfi, but there are very few founds from that period. The most part of the monuments date back to the 18th century. The church of Santa Maria Assunta, near the beach, has a fine majolica dome and a couple of notable old paintings. Palazzo Murat is now a hotel, but it often hosts public cultural events, so it is quite easy to visit its interiors. 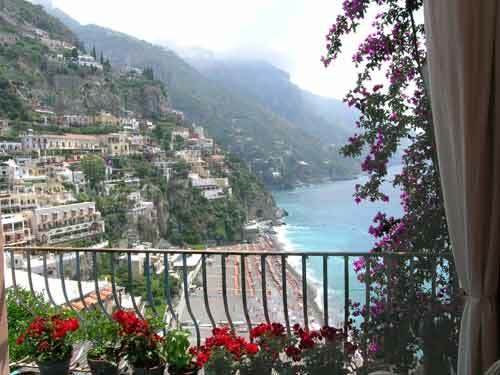 Classic music, literature and ballet are at home in Positano. 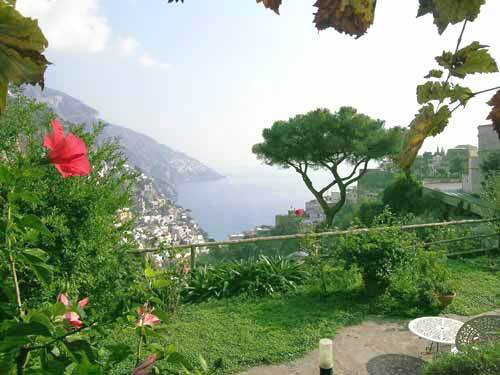 Positano, is easily reachable with Motorway A3 to Naples or Salerno and then follow the S.S. 163 to Costiera Amalfitana. From Naples, follow to Castellammare di Stabia, then Sorrento e check out the signals for Positano. From Salerno, follow to Vietri sul Mare , then Amalfi,Praiano -Positano. 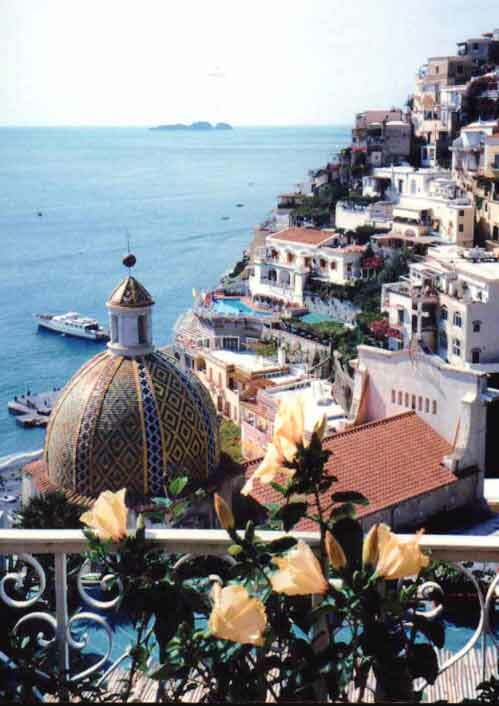 From Naples International airport Capodichino you can get a shuttle to Sorrento and then Bus Sita to Positano, or simply get a taxi to Positano from Naples Central Station “Garibaldi” you can get the metro to Sorrento and then the Bus Sita to Positano. 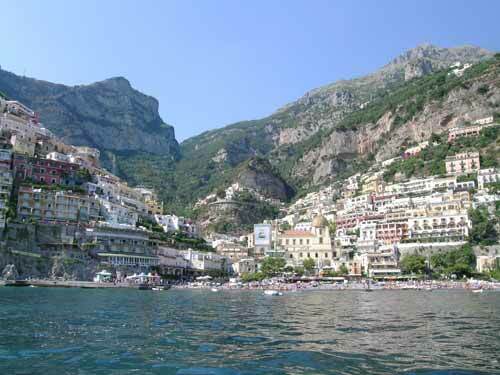 Positano is also reachable by ferries from Naples and Salerno.